How Far is Ashwathy V K Avenue? V K Avenue Independent Villas at Chennai .Just 1.5 Km from Near Poonamallee . This specification Applicable for all independent houses at V.K AVENUE. b) Solid Wooden doors fitting for Bed Rooms. c) Brass handles and hinges for main door. a) Double Putty with Primer of Interior Walls and ceiling. c) Varnish finish for main door. d) Enamel Painting for windows and doors.
? Column Size 9 inchs. b) 4" Skirting of vitrified tiles. a) 20mm granite counters with half nosing for Kitchen. b) 24" X 24" Anti - Skid Ceramic flooring tiles for Kitchen and Wash area. c) 8" X 12" Ceramic Dado (2" above counter) for Kitchen Rate at Rs.20. a) 12" X 12" Anti - Skid Ceramic Flooring Tiles. b) 8" X 12 Ceramic Tiles up to 7" height. c) C.P. Fitting, METRO,parryware or equivalent. a) Stainless Steel or equivalent Sink. b) Silver neck Pillar taps. a) Modular Switches, Wonder equivalent. b) Breaker and DB Box, Levin or equivalent. a) Ceiling Fan Point - 2 Nos. b) Wall Light Point - 2 Nos. c) Chandelier Point - 1 Nos. d) 5 A Socket - 2 Nos. f) Telephone Point - 1 No. g) Refrigerator Point - 1 No. a) Light Point - 1 No. b) Gate Light - 2 Nos. c) Doom Light - 2 Nos. a) Wall Light Point - 1 No. a) Ceiling Light Point - 1 No. d) Night Light Point - 1 No. e) 5 A Dependent - 1 No. f) 15 A Socket - 1 No. b) Mirror Light Point - 1 No. 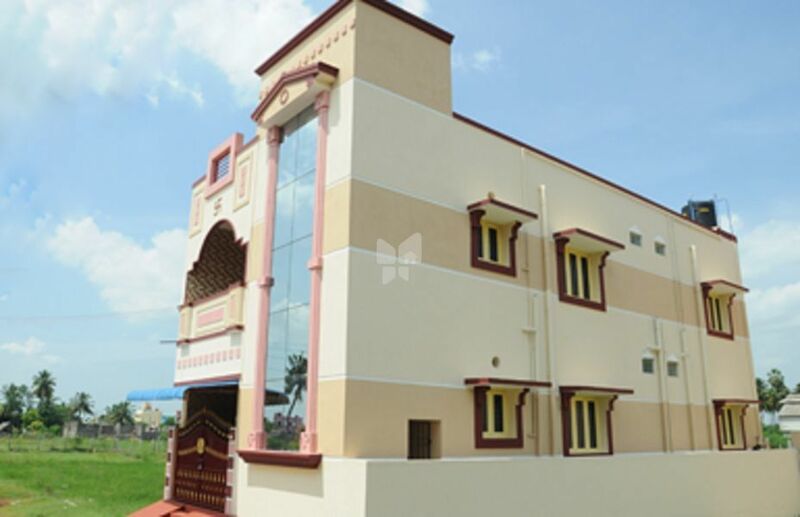 Ashwathy Builders, Proprietor by Mr.S.Rajkumar in 2009's with a vision of delivering quality Independent housing, we have constructed around 23 Independent happy homes having an overall construction at near Poonamalee, Kour, karayanchavadi and Mangadu Chennai, India. With an ongoing construction projects V.K. Avenue at near Poonamalee, Chennai, India. Ashwathy Builders constructed and selling Independent Houses only. As per clients requirement we undertake construction with DELUXE MODEL HOUSE and SUPER DELUXE MODEL HOUSE for their dream houses. Our core values - Trust and Transparency , Customer Service and Integrity drive us to achieve excellence along with the expertise of eminent professionals working as a perfect team who are completely dedicated to the achieve the goal of the organization. Besides our team of professionals, we owe hearty gratitude to our customers who have trusted us with their dream of living in a happy home. Ashwathy Builders has the skill of highly specialized and experienced engineers, architects, administration, legal experts who ensure the progress from the site visit, purchase, plans, approvals, construction, and infrastructure till the handover of the keys. Ashwathy Builders always seeks new and best ways to help its customers to achieve the goal, through properties that have excellent overall quality and value.